For the second year in a row, we’re headed to theCURVYcon as title sponsors. Here’s why we can’t wait to come back. #1: Last year was a blast! The number-one reason we jumped at the chance to return to TCC in 2018 is because last year was so great. We got to chat with the fantastic community, meet movers-and-shakers in the plus-size fashion space, and share our latest collections. The audience for our fashion show was packed with plus-size women from around the country—and we ended the presentation with a panel moderated by Fern Mallis, the creator of New York Fashion Week. 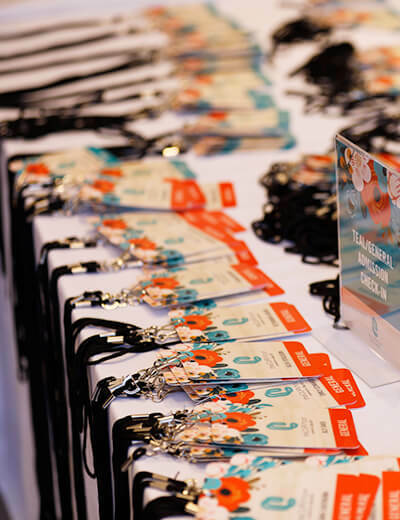 This year, with a bigger space, increased programming, and more participants, we expect TCC to be even better! #2: We have more great styles to share with you. In 2017, we showed you some of our favorite looks from our exclusive collections—and this year, the shopping experience at theCURVYcon is reaching new heights. We’re showcasing Dia&Co brands and giving our community the opportunity to try and buy pieces from both Dia&Co Style and Dia&Co Active in person. Plus, some of our expert stylists will be on hand to provide IRL tips and advice! #3: The biggest names in plus-size fashion will be there. 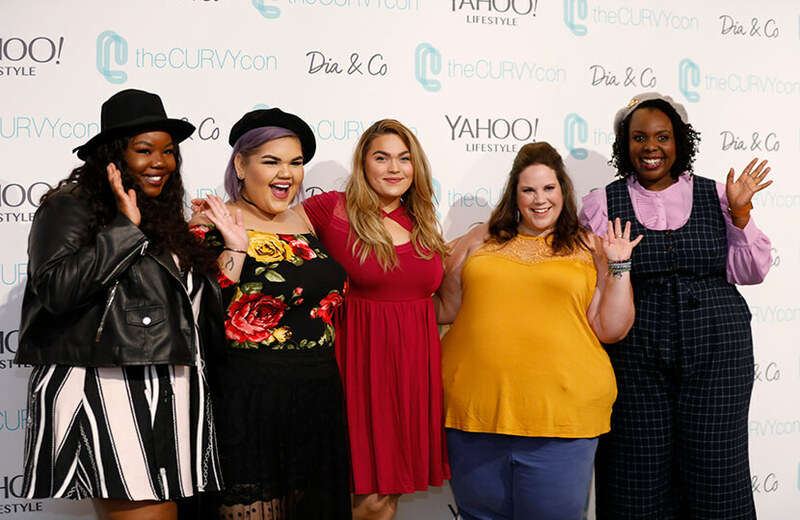 theCURVYcon is the premier destination for plus-size women across America, so, naturally, designers, celebrities, and influencers attend year after year. And as the event gets more publicity and becomes even more well-known, the VIP guests grow in number. This year, Oscar-nominated actress Gabourey Sidibe is the keynote speaker! Plus, body-positive singer Lizzo and pro wrestlers Nia Jax and the Bella Twins are slated to speak. We love getting the opportunity to hear form these incredible women and learn more about what they’re doing to move fashion forward. #4: We’re bringing Dia&Co brands to life with Hayneedle. 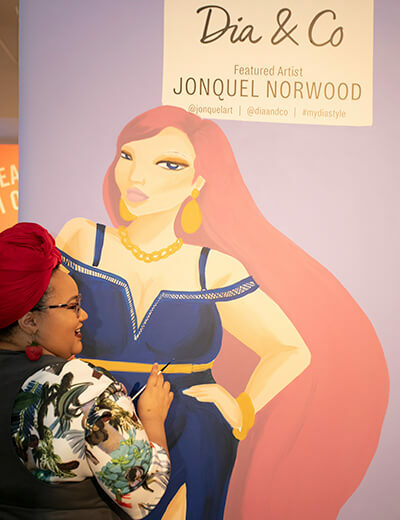 This year’s space is bigger, better, and even more beautiful than before—that means more room for shopping, panels, and mingling with other women in the plus-size fashion community. Since the new space is more than double the size of last year’s, we wanted to include inviting spots throughout the venue for a little R&R between activities. So, we teamed up with Hayneedle, our favorite online furniture and home decor shop, to create custom style lounges inspired by Dia&Co’s favorite fall fashion collections. As an added bonus, Hayneedle is providing an exclusive offer to everyone in our community—click here to receive 10% off your next purchase. #5: We have a few surprises up our (fashionable) sleeves. We partnered with the CFDA for this year’s theCURVYcon and have some big announcements to make. We’re not going to spoil anything, but we can promise that there’ll be plenty of excitement! If you can’t make it to the event in person, no worries—we’ll be live-streaming it right here on the Dia&Co blog. Featuring Dia&Co Founder Nadia Boujarwah, rapper Lizzo, and fashion designer Tracy Reese, our event begins Friday, September 6th at 6:30pm ET. Make sure to mark your calendar and stay tuned to the blog all week long for updates on the festivities. If you’re in the tri-state area, join us at theCURVYcon—tickets are still available. For those who can’t attend in person, you don’t have to miss out on the fun. Just be sure to follow Dia&Co on our social channels—we’ll be going live on Facebook throughout the weekend, sharing behind-the-scenes sneak peeks on Instagram, and running special giveaways on Twitter. Get ready for a weekend you won’t forget!